I am sitting on my deck, cup of tea in hand, drinking in the beauty and energy of the new day. Dawn’s first light brings a cacophony of songs from the wrens, cardinals, chickadees and other birds that share my wildlife habitat. A chorus of squirrel tree frogs can be heard from their various brush pile and flower pot hiding places – the loudest voice emanating from within the light fixture by the back door, its cylindrical shape providing unintended amplification of its inhabitant’s call. Bustling parents are crowding the bird feeders as their newly fledged offspring wait, often impatiently, on nearby branches for their next seed. I turn to watch a Carolina wren that has been scouring every inch of the walkway for insects bounce off after a grasshopper. At that moment, a red-tailed hawk calls from overhead, sending a half-dozen blue jays noisily away from their perches in the big live oak. 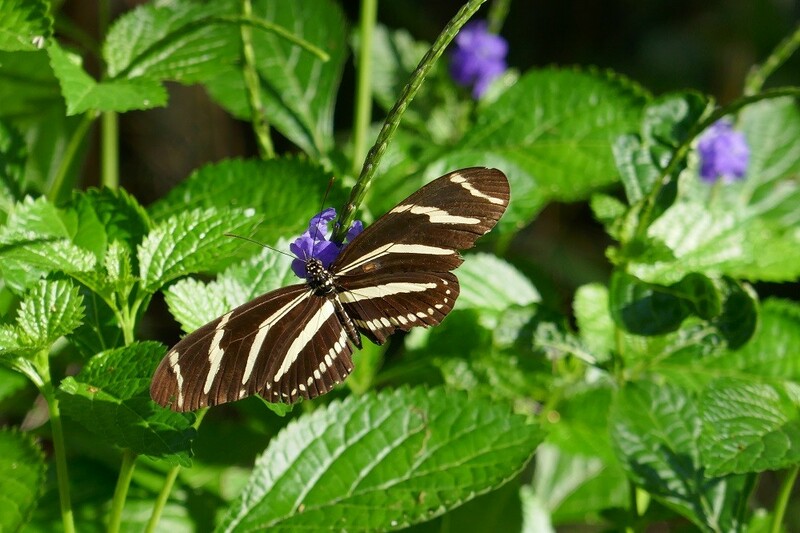 A zebra longwing butterfly floats by in an undulating flight path toward a passion vine or perhaps a mate. I follow her progress until she settles near a bumblebee as she pushes her way through the red salvia blossoms in her search for nectar. Her rough treatment and sheer size cause many of the bright red petals to fall and litter her path as she peruses the plants. Suddenly, I am greeted by a resident ruby-throated hummingbird, which hovers briefly in front of me, like a tiny green jewel. 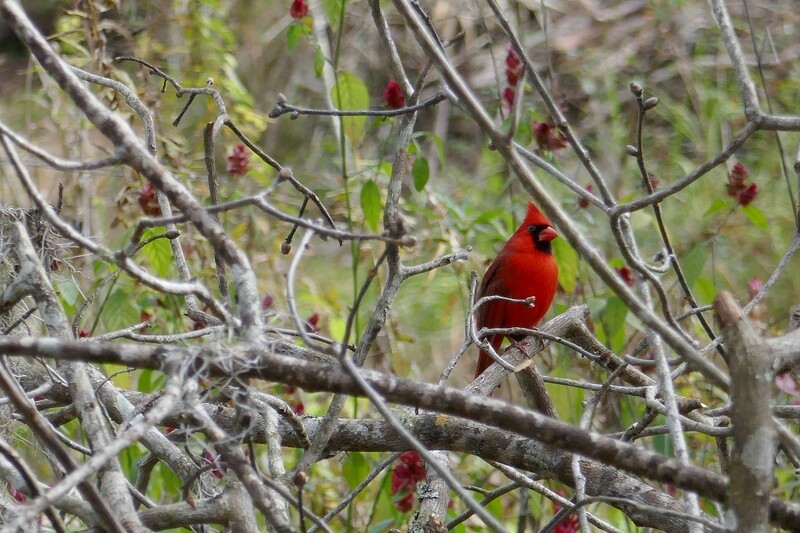 Soon, he resumes his rounds through the blossoms of red salvias, coral honeysuckle, scarlet morning glory and coral bean that I have planted to provide nectar. It occurs to me then that sharing a wildlife habitat with these special creatures is rewarding enough, but sharing a habitat that I have created is the most exciting experience in the world. Observing these animals throughout the day and night and from season to season is a happiness without equal. Those lucky enough to be able to study wildlife daily will no doubt notice how each hour brings with it new activities, each one in its own way a gift to behold. Sunlight peeks through the loblolly pines as the day warms, and a gradual procession of butterflies begins to appear. 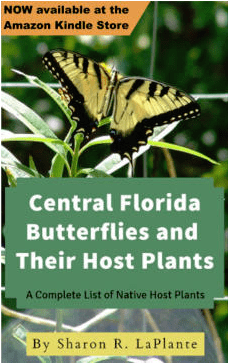 A giant swallowtail drifts down into the yard to lay her eggs on the Hercules club while at the passion vine the gulf fritillary and zebra butterflies compete for a tender new leaf on which to deposit their eggs. Still vying for a position at the feeders, the northern cardinals, tufted titmice and Carolina chickadees simultaneously burst away in all directions – startled by the red-bellied woodpecker that has swooped in to retrieve food for her fledgling, which clings to the side of a nearby grandfather oak. A ray of sunlight reaches down to the deck and an immature southeastern five-lined skink pulls himself up through a crack to bathe in its warmth, the blue of its tail nearly glowing in the amber light. My eye catches movement on the walking path that I cut between the woodland and the meadow, and I watch a mother turkey leading her three small poults to the nearby meadow to search for grasshoppers. When the entourage reaches the creek, I observe the poults dashing around after insects while the hen nibbles blackberries from a nearby bush. By midday, a few of the wildflowers have succumbed to the heat, and as I water them, I see one of the little fence lizards watching for another insect to be flushed out from the mulch. 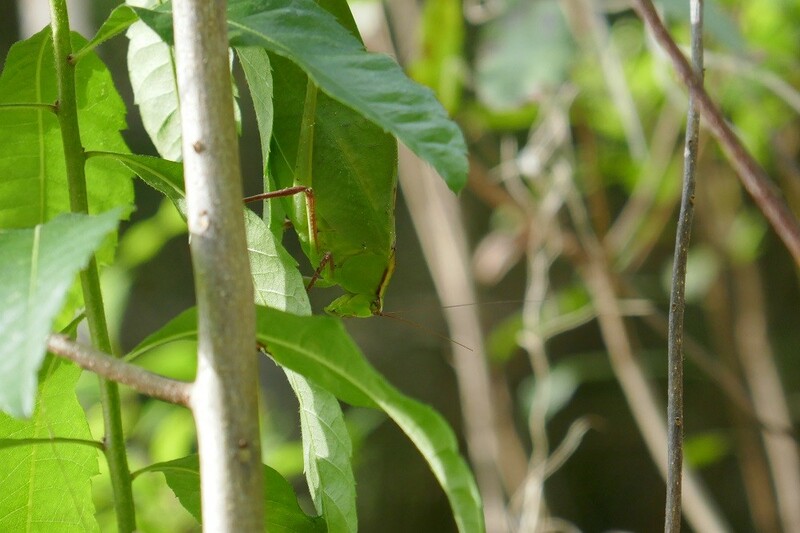 A green anole lays along the branch of a hog plum waiting for a meal of bee or wasp to happen by. A red-shouldered hawk drops to the ground near the tree line, where it lingers for a second or two before launching skyward toward her nestlings – clutching their next meal of lizard. 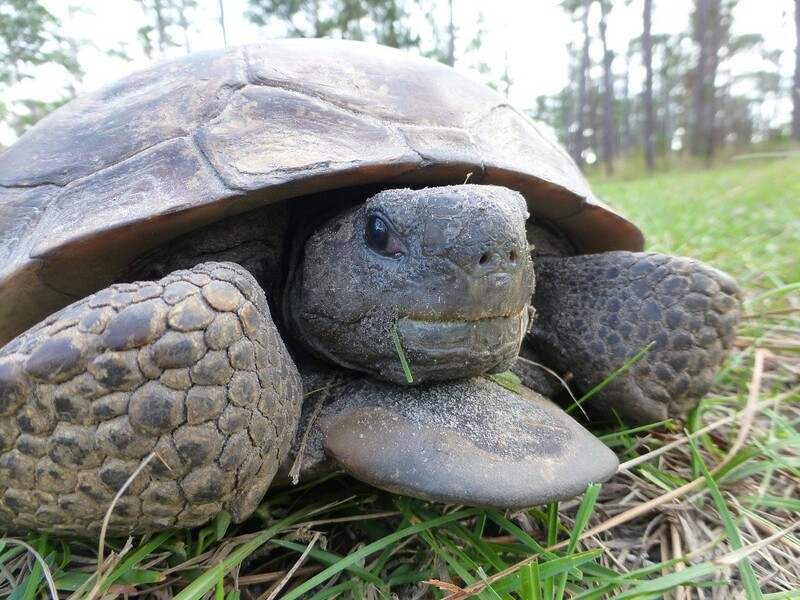 One of the many gopher tortoises, this one a big male, is seen walking along the path – his stately progress further slowed by his frequent but brief stops to sample a chickweed leaf or prickly pear cactus pad. Late afternoon brings the songbirds back to the feeders and the birdbaths. A timer switches on a sprinkler at the corner of the yard, and the wrens and cardinals perch on the adjacent fence for their daily shower. Movement in the dripping-wet grape leaves reveals a tufted titmouse as it brushes through in its own take on the proper bathing method. Several gray squirrels scurry about underneath the bird feeders, picking up fallen seeds. The hummingbirds seem to linger more at their feeders as daylight fades, as if to polish off as much nectar as possible to hold them until morning. Steadily, the birds, squirrels, lizards and other diurnal animals prepare themselves for the approaching night, and observed activity slowly, if temporarily, winds down. The day’s final light provides the backdrop for the three evening bats close overhead, darting expertly in their pursuit of insects. Nightfall pulls the treefrogs from their hiding places behind the shutters, and they congregate in a sizable crowd around the porch light, predicting the arrival of their prey. In a few hours, they will become so plump in their insect binge that it appears as if they could burst. 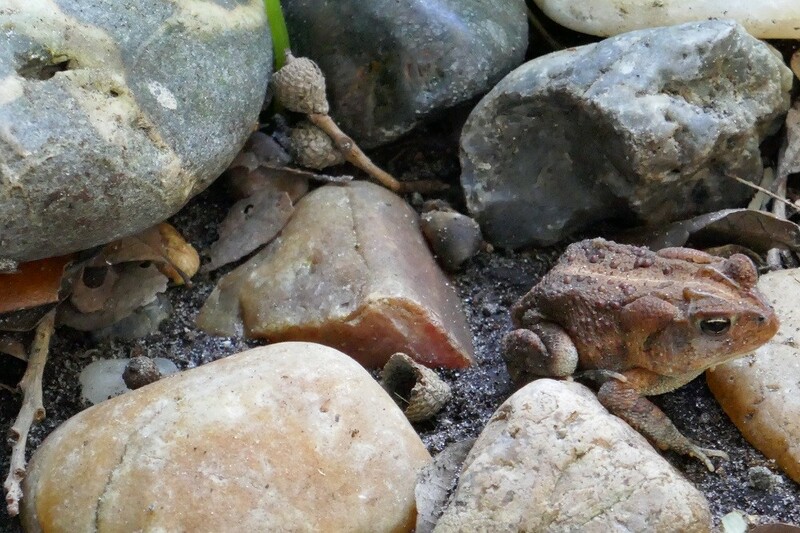 A rustling sound reveals an oak toad making its rounds through the leaves, using the pale glow cast by a string of yard lights to good advantage. Gliding silently to a perch on a magnolia limb, a trilling screech owl is eyeing the deck rail for a tasty cockroach. A great horned owl can be heard calling from the pinewoods as well as the barred owl’s ‘who cooks for you’ retort from the oak hammock. Zipping over my head to the hickory tree, a flying squirrel has arrived for its turn at the feeder. Chuck-will’s-widows call back and forth to each other in the relatively cool night, and I am warmed by their comforting sound. In an abrupt departure from the rhythmic calls of the nocturnal birds and katydids, an armadillo crashes through the palmettos and beauty berries, searching the leaf litter for earthworms. The raccoons make their way along the path of blackberry vines, their occasional squabbles over food or territory punctuated by their distinctive squealing and chattering. Another day has passed, which to the casual observer might have appeared as routine but to those who have re-established their relationship with nature it is hardly that. Indeed, life’s cycle itself can be better understood by studying its component parts – a single day being as perfect a reference point as any other unit of time in which this can be accomplished. Similarly, understanding nature on its grandest scale is done by observing and learning from its component parts. So, my little habitat is my classroom, its inhabitants my teachers, and in its own way, it is as grand in scope as any event nature has ever produced. 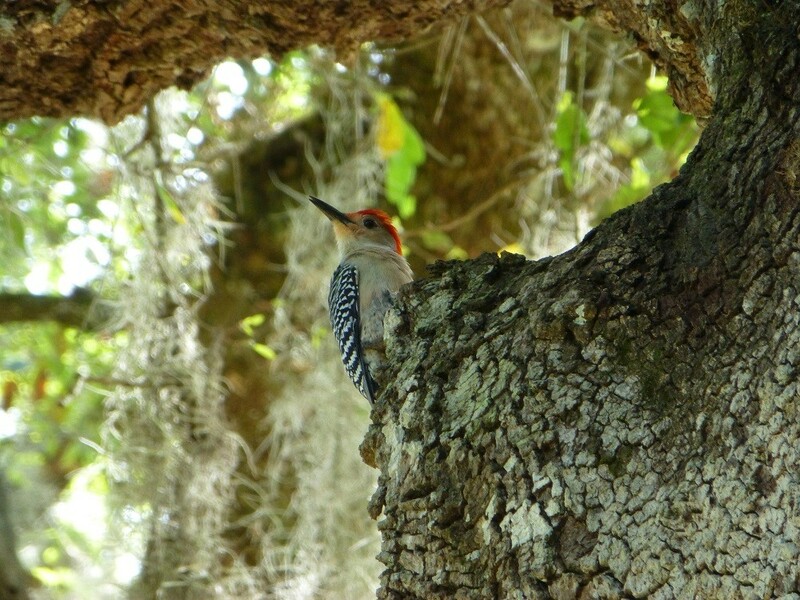 This article was originally published in EcoFlorida Magazine Fall 2000 issue.